Partners in music and in life, Canadians Dylan Bell and Suba Sankaran delight in sharing their unique and virtuosic a cappella style around the world, with performances in over 20 countries across 6 continents in support of their new album "Go Back Forward." They are excited to perform again at Adelaide Fringe. "Beautiful and impressive" -Sara Davey, the Swingles. "A must see of the Fringe" -Clare Watson, Edinburgh Fringe. "Pure Magic!" -Sandy Mowat, CBC Radio Canada. 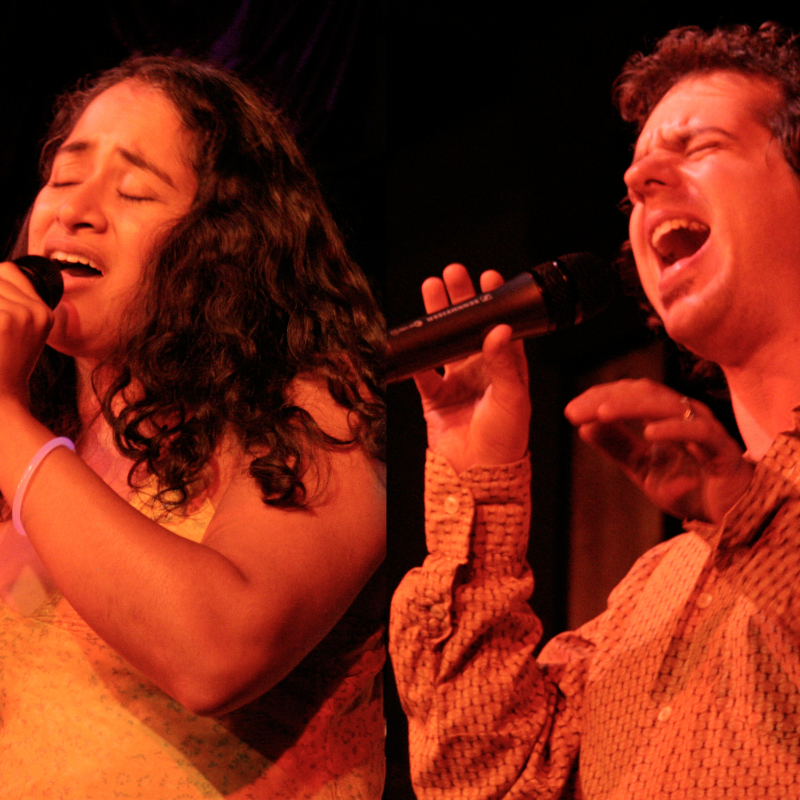 Dylan and Suba met at university as co-directors of their school jazz choir. At their year-end concert, Dylan and Suba performed an a cappella “director’s duet”, and FreePlay was born. What started as a typical voice-and-piano jazz duo began to evolve: more instruments were added, and more musical styles explored, to create a duo unique in its musical depth and variety. In 2007, FreePlay created the uniquely innovative, all-a cappella live looping performance style that has earned them international recognition. FreePlay’s diverse concert program has taken them across Canada and around the world, with performances at major music festivals spanning six continents. Their self-titled debut album was released in 2009, and their most recent album, Go Back Forward, was released in 2018.